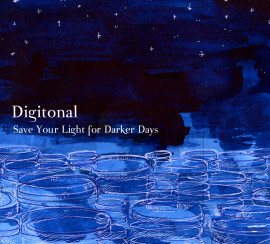 Beautiful Broken is Digitonal’s fifth album since he first started recording and playing live under that name in 1997, and the first all-new release since 2008’s Save Your Light For Darker Days. 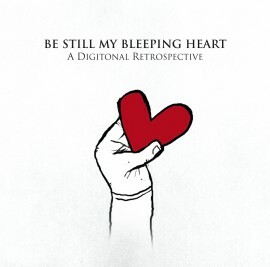 Since then Dobson has released the retrospective, Be Still My Bleeping Heart, written and scrapped an entire album, and for Beautiful Broken has composed new material and finished off some incomplete compositions. 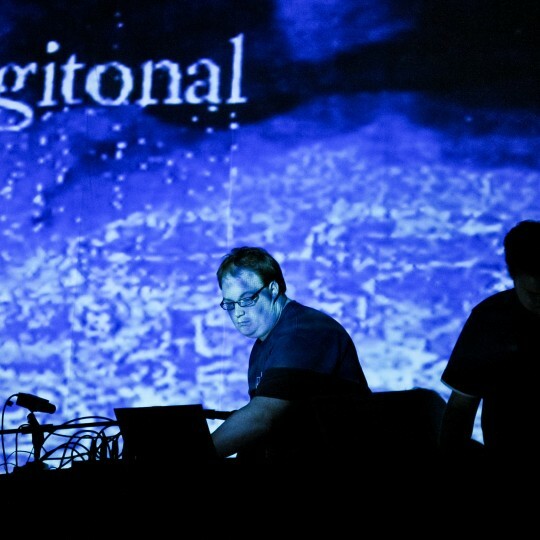 The typical Digitonal process sees the pieces transformed from largely improvised works-in-progress played live to more structured studio creations. This can take some time. ’We Three’ dates back to a live prototype from 2004. With long-time collaborator, violinist Samy Bishai currently working on a number of other musical projects and less Digitonal live work in recent years, the compositions have taken longer to evolve, and so Beautiful Broken has become essentially a Dobson solo venture. Dobson is a classically trained clarinettist and former chorister, and the clean lines of minimalism and Early Music in particular have informed his role as an Electronica producer. Following a concert at the Union Chapel, London, in 2014, Dobson was most excited about a particular section in which the musicians played acoustically and so he decided to try to recreate that feel. Beautiful Broken evokes the subtlety and self-contained intimacy of chamber music, but as befits his recent reconnection with Ambient, these elements move slowly through a cool electronic space. But what defines Ambient for him is the literal meaning of the word more than a particular musical genre, specifically the expanse of sound that he experienced singing in a choir in a candlelit Durham Cathedral. 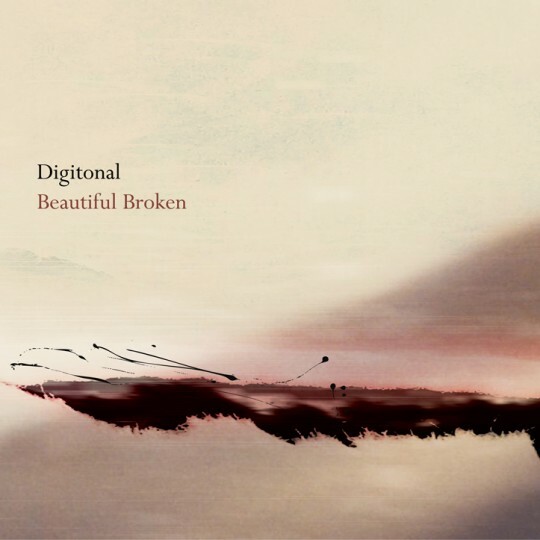 This combination of sonic influences make Beautiful Broken Digitonal’s most original album to date. Although it’s not a radical departure, Dobson has realigned his approach. He admits that he has also gone back to minimalism in a big way and ‘Eighteen’ is a buoyant mesh of clarinet, tuned percussion and drum patterns, and an overt homage to Steve Reich’s epochal minimalist work, Music For Eighteen Musicians. Apart from Bishai’s violin and Dobson’s own clarinet and keyboards, the instrumentalists on Beautiful Broken are Kat Avery (harp), and Georgina Hoare and Ivan Hussey (cello). In line with the prevailing chamber mood, Dobson has guarded against over orchestrating, with the emphasis more on pared down written parts: the composition ‘Luna’, for example, is completely scored. Similarly, breakbeats have largely been replaced by more intricate microbeats. 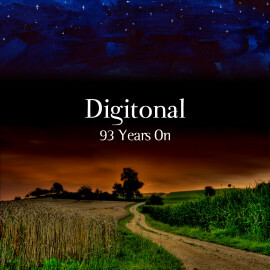 There’s a melancholy, a bitter-sweetness to Digitonal’s music, and whichever way Dobson’s particular balance of acoustic and electronic sounds tips in the future, he is currently searching for the kind of emotional narrative and sense of connection that one gets from songs. He certainly goes a long way towards achieving that on the affecting compositions on Beautiful Broken.